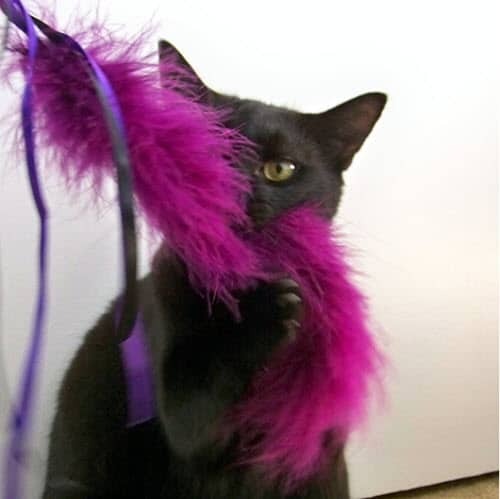 Few things are as enticing to a cat as a simple feather wand toy. Just a few wiggles in front of kitty’s face and it’s play time! This is a fun toy you can make yourself with easy to find and inexpensive materials.